Children of the rain. This name they received after the release of the film "rain Man". Rain as a symbol features. It is autistic children. Children of the Sun – kids with down syndrome. Just note, autism and down syndrome are not simply the understanding of mental illness. Children with a different perception of the world. They require a different approach to education and training. Often these children are very capable. They just differ from the majority. The concept of autism was introduced in 1920, and infantile autism were described in the forties of the last century. 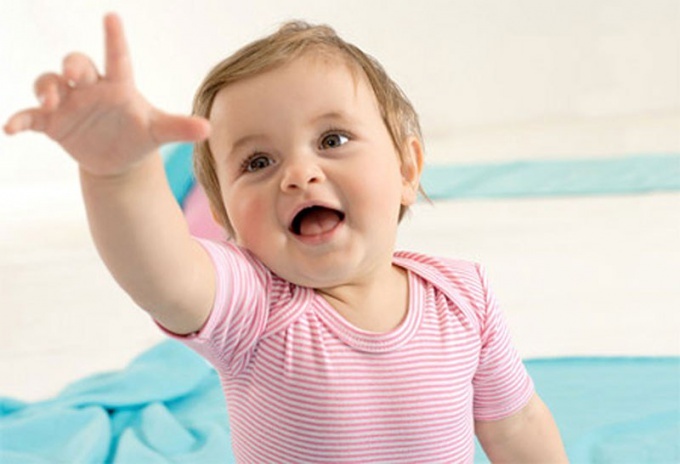 The main thesis in the description of the autistic child is with the surrounding world, when a person does not perceive or understand the events happening around. Features of "children of rain" is described in detail in the book, Eric Blair of "Autistic thinking." From the first months of life the child with autism avoid direct contact and interaction with adults, not pressed, when it take on hands. They avoid looking directly into the mother's eyes, eye look, because they have a more developed peripheral vision. Autistic children may not respond as usual to the sounds in his name. An autistic child may be able in mathematics or music, it is fine to draw, but to be helpless in everyday life, bad to make contact with people. Other spheres of life and activities, not interested in autistic people, they can not touch. The IQ of such children is often more than 70 out of 100 points possible. With proper and patient training, coupled with time consuming, educated in love and care, these children can show considerable creativity to be smarter than many normal children. "Children of rain" a lot of phobias. They are bound by stereotypes much more than the average person. They are afraid of everything new and strange. Changes in external conditions even to a small degree might be for such a child a tragedy. Another feature of autism is the lack of visible attachment to loved ones, even to his mother or brother, sister. The last theory does not believe autism is a hereditary disease. Rather, it can be transmitted to a genetic predisposition. The appearance of autism in children may be associated with birth injuries due to violations of fetal development during pregnancy, other, not yet understood, factors. "Children of rain" in the world there are more. This is one of the most common genetic disorders. But not a disease. In a normal cell, 46 chromosomes, half paternal chromosomes, half maternal and they are located strictly in pairs. In children with down syndrome in the twenty-first pair appears extra chromosome. The extra chromosome is determined only by a physician-geneticist from the blood. Such deviation occurs quite often. For every 800 to 1,000 newborns have one with the 47th chromosome. Today unclear the reason for the anomaly. These children can grow as the family scientist or politician and the farmer's family or an employee of the plant. In families parents leading a healthy lifestyle or living happily. Deviations are not associated with environmental problems or climate. "Children of the Sun" is easily recognizable. They have a difference in head shape and facial features, they are very similar to each other. Health they are usually weak, the risk of diseases of the cardiovascular system, the gastrointestinal tract, often there is dysfunction of thyroid and vision. Squeamish attitude to children of the Sun is unfair and humiliating. The opinion that they are aggressive, are deeply mistaken. The sun symbolizes their kindness and mental purity. Using the term "retard" is simply unacceptable. Typically, these children lag behind in development, but the skill level differs greatly within this group. With appropriate education of the children of the Sun learn to speak, read. They just need to do on other programs. Such children can attend kindergartens and schools. Upon graduation, more than 80% get profession and work in many areas. 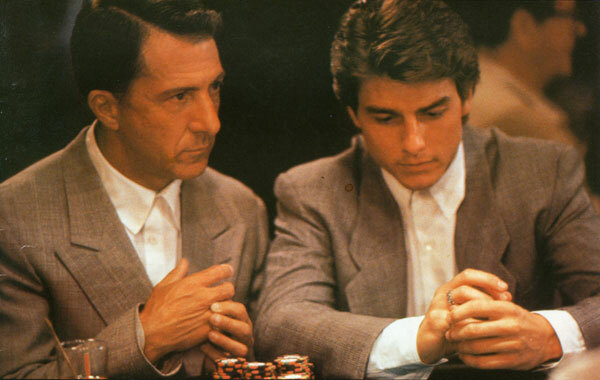 Advice 3 : The symptom of "the rain people"
Appeared on screens in the late eighties the film "rain Man introduced people with rare Savatovsky disease. In this film the actor playing the main role, and was able to perfectly reflect the behavior of the main character suffering from the disease. His cousin came to him, and discovered that the main character has the ability to memorize phone numbers, results for baseball. Also he was well able to do the calculations of card moves. The cause of this disease – traumatic brain dysfunction. As mentioned above, this disease is uncommon. with developmental disabilities mental activity. This disease appears in childhood and adulthood. Most often found in men. They have an excellent memory, focused in a particular area. The most common behavior in people with this disease – attention to detail – interesting facts, numbers, maps. Many of these patients have a talent for music or art. For example, people can listen to a piano recital and play it from beginning to end. Other people with this disease have the ability for math. For example, they carry out calculations mentally in a few minutes. Many of them manage to do calendar calculation. For example, patients can tell what day of the week was this last year. About people with a similar disease was described several centuries ago. However, before they were just considered mentally retarded. This disease was described by Western doctors. They referred to the fact that people with this disorder have a reduced IQ. Today, experts use more precise medical term "disease Savant". Many doctors call this disease autism savantism. However, not all people suffering from this disease is autism. The desire to learn is a disease caused not only by curiosity. According to scientists, it will help to learn more about the brain. By identifying the cause of this syndrome, you can learn a lot about the intelligence and the operation of various types of memory. Certainly, such research can reveal that many people have hidden abilities. Perhaps most people are geniuses waiting for an opportunity to tell about yourself.